The European Central Bank's former president Jean-Claude Trichet bullied Ireland into the Troika bailout and then betrayed the country by saddling us with up to €9bn in debt. Ireland's descent into financial turmoil came after a slow build up that saw our political and business leaders ignore warning signs that the economy was overheating, the Banking Inquiry has concluded. However, the €6.5m taxpayer-funded report fails to apportion direct blame for the crisis on any one sector, instead suggesting it was the culmination of poor government policy, a regulatory system that did not do its job and banks that engaged in risky lending. 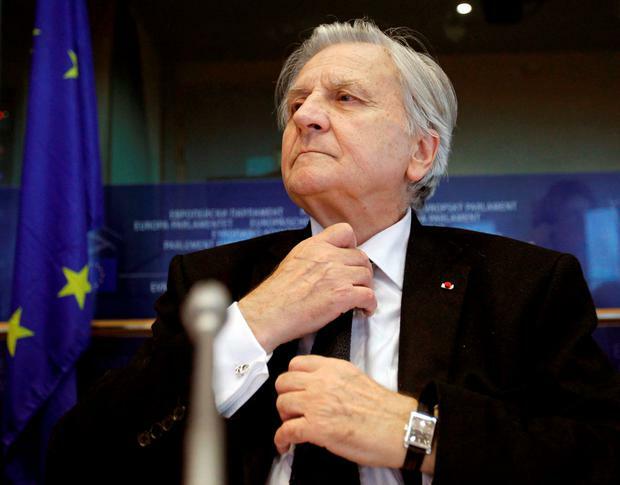 But it lashes out at the ECB and its former president Jean-Claude Trichet who it says failed to engage with the inquiry. Mr Trichet first threatened Brian Lenihan that if Ireland did not enter a bailout programme he would cut off Ireland's supply of emergency funds. The report notes that Mr Lenihan wanted the ECB to publicly say it stood behind Irish banks in November 2010 as he tried to avoid a bailout. Instead the French banker wrote a "threatening" letter saying that the ECB would cut off emergency funding to Irish banks if the Government sent a request for a formal bailout. The inquiry concludes that a month before that letter Ireland's fate had already been decided by "factors outside the Government's control" and entry into a bailout was inevitable. "Jean-Claude Trichet's letter caused the Irish government position to crystallise," says the report. Following the General Election in February 2011, Mr Trichet then took on the newly-appointed Michael Noonan whose party had pledged to burn the bondholders as part of its election campaign. And it can be revealed for the first time that the National Treasury Management Agency compiled figures for Mr Noonan just a fortnight after he entered office on how much Ireland could save by burning senior bondholders in the banks. The document marked 'strictly private and confidential' and dated March 28, 2011, states that almost €2.3bn could have been saved by writing off senior bondholders in Anglo Irish Bank and Irish Nationwide Building Society. This was based on repaying the holders of these bonds only 37pc of their face value. The agency estimated that the exposure to the taxpayer could have been reduced by a further €6.9bn if senior bondholders in the four functioning banks were also burnt. The IMF was in favour of imposing losses on senior bondholders as part of the Troika programme and their legal officials had even helped the Attorney General explore the possibility in November 2010. In March 2011, Irish senior unsecured bank bonds were trading at levels consistent with clear anticipation of a cut, reflecting that some burden-sharing was anticipated. However, the report chronicles conversations between Mr Noonan and Mr Trichet, including one where the "irate" ECB boss is reputed to have warned that if bondholders were burnt "a bomb will go off and it won't be here, it'll be in Dublin". Ultimately in its strongest finding, the Banking Inquiry report states the withdrawal of funding support again used "an explicit threat to prevent the Government from imposing losses on senior bondholders". It concludes: "The ECB position in November 2010 and March 2011 on imposing losses on senior bondholders, contributed to the inappropriate placing of significant banking debts on the Irish citizen." Last night the brother of former Taoiseach Brian Cowen said the Banking Inquiry report makes "no mention" of the alleged economic treason he was accused of by former Tánaiste Eamon Gilmore. Offaly TD Barry Cowen also hit out at Taoiseach Enda Kenny, saying his previous claim that the inquiry would uncover the truth behind an "act of collusion" between Anglo bankers and Fianna Fáil has not materialised. Bankers should have clawback provisions in their salary contracts linked to their performances. The Government should seek a review of EU laws to make it possible to call the European Central Bank before Oireachtas inquiries. The Competition and Consumer Protection Commission should conduct an immediate review of competition among Irish banks. All bank board members should have financial skills and experience to recognise potential risks. Risk of mismatch between liabilities and assets should be reviewed regularly at board level. Central Bank boards must include sufficient expertise and direct experience in financial stability and prudential regulation. The banking division in the Department of Finance should be subjected to periodical independent performance reviews. An independent budgetary office should be established to provide independent costings on alternative budgets and election promises. Guidelines should be published on best practices for recording and minuting civil service meetings. A review of the legislation relating to the powers of the Finance Minister in giving directions to the National Treasury Management Agency (NTMA). Oireachtas committees should be reviewed and better resourced to increase their effectiveness. Oireachtas Committee members should receive training and support in the areas they are responsible for if they do no already have the skill sets. Bands should be agreed on for the amount of state tax accounted for by cyclical, transaction-based taxes, and triggers for breaches of these bands should be implemented. The Public Oversight and Petitions Committee should review the most recent reviews of the Irish parliamentary system.